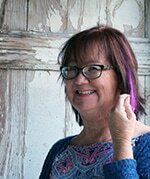 I’m sitting on the sofa Sunday afternoon writing this post. I thought I would finally do a project with my Silhouette Cameo. Well that didn’t happen. I did order some supplies and tried to navigate the Silhouette Studio and download fonts, work on designs, etc., etc., etc. After 3 hours of that I just ended up frustrated and I was still in my jammies!! I took a few project photos, folded some laundry, and made some guacamole. I feel like most of the day was wasted. Do you know what I mean? My tired old body appreciated the rest though. I was feeling a little stiff and achy…too much bending, twisting, turning, while painting, shoving, and kicking furniture. Hey,, but enough of that. I did get this post written and scheduled! There is a bridal shop opening in Clarksville called Wedding Belles.Another local business, yea! 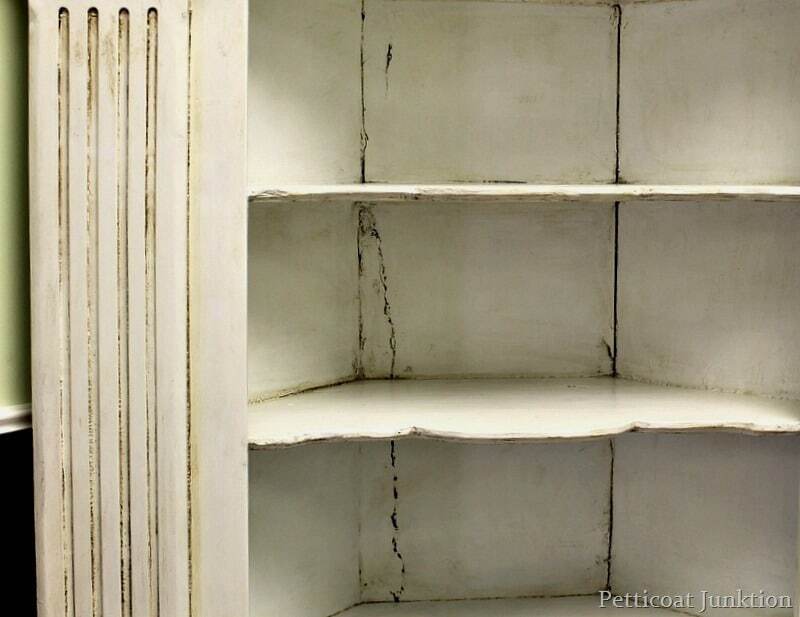 The cabinet before the makeover. It was a lot more yellow than this pic shows….kind-of a dingy yellow. 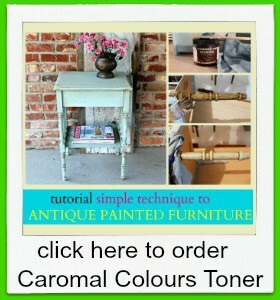 It’s a really simple process to antique painted furniture! 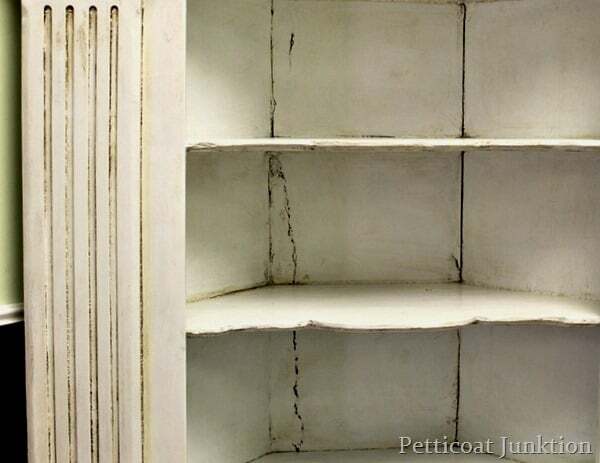 I painted the cabinet a nice bright white. Then applied toner for an aged affect. The piece was really old and had some cracks, gouges, holes, and a prior paint job that was a little lumpy. That’s ok because the toner played up all those areas which is what we wanted. I am now selling the toner on Etsy. Just click the photo below. Wedding Belles isn’t officially open so the White Antiqued Cabinet hasn’t been decked out with cool wedding bling yet. They’re open by appointment though if you want to give them a call. I went by Saturday to take these pics and I watched a bride-to-be trying on dresses. So much fun. I love bridal shops. Wedding Belles also sells prom dresses, ball gowns, anything fancy, in all sizes….kids dress up clothes too. 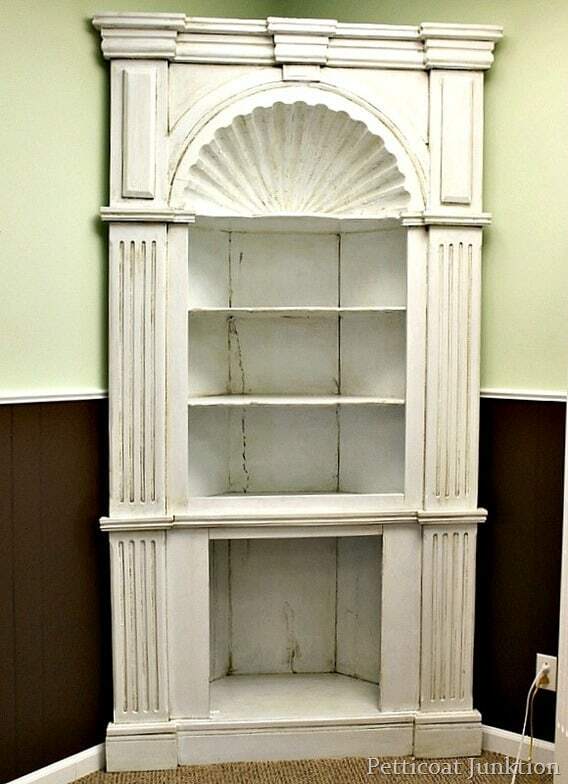 How do you like the white antiqued finish on the cabinet? Do you watch Say Yes To The Dress? Love love this piece!!! 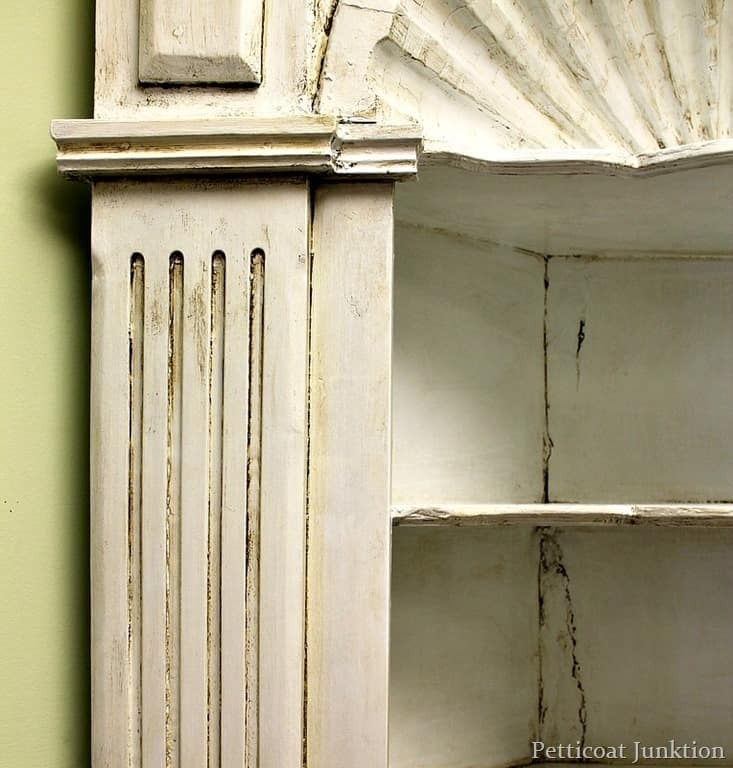 I have been looking fir a corner hutch and this is exactly what I want! Would you make this piece again I would love to have one! I love it in the bright white; very pretty! Yes, I would love a detailed post as well. I am wanting something similiar done with a shelf over my bed. My husband has already built the shelf, but I have to begin painting and haven’t a CLUE of how to begin! Sorry, but I’m one of those people that would rather just PAY to have something like this done. I don’t have alot of time working outside the home and raising a 3rd grader with a social calendar. I am your newest follower….following on BlogLovin!! Have a good weekend! what kind of paint did you use ? what color. when you use white, what kind of white? 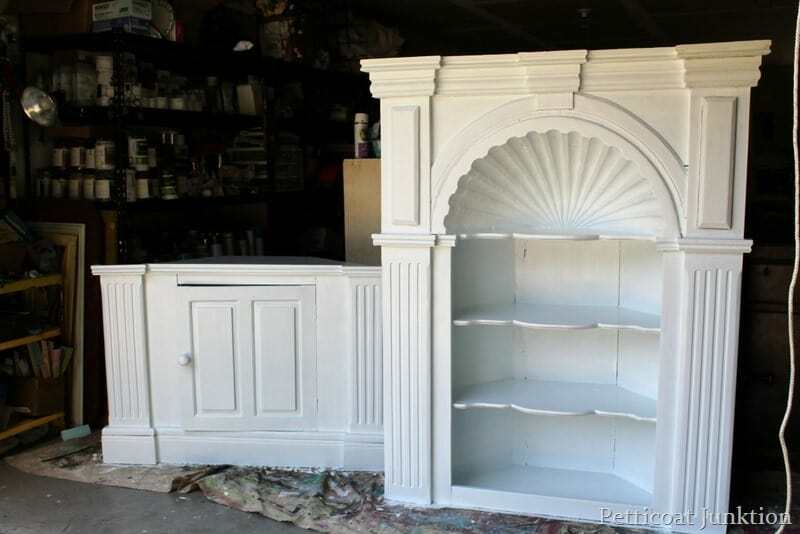 Linda, on this piece I used Behr satin white paint. I use different paints depending what I have on hand. I did prime this piece with Glidden Grey Gripper. 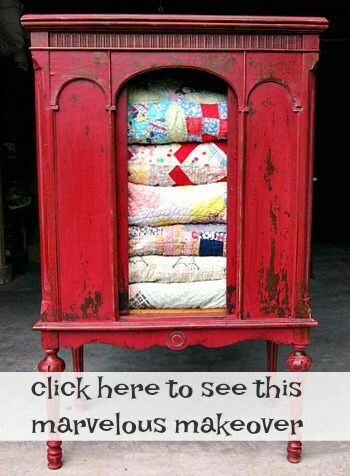 I should have know this was your post when I saw it Kathy – You do the most amazing things – that is one of the prettiest armoires I’ve ever seen – I would LOVE to have this for my home! Love the white with toner on it to age it – beautiful job again! Thanks Suzan. If it was for sell you could come down to Tennessee and we would finally get to hang out together! 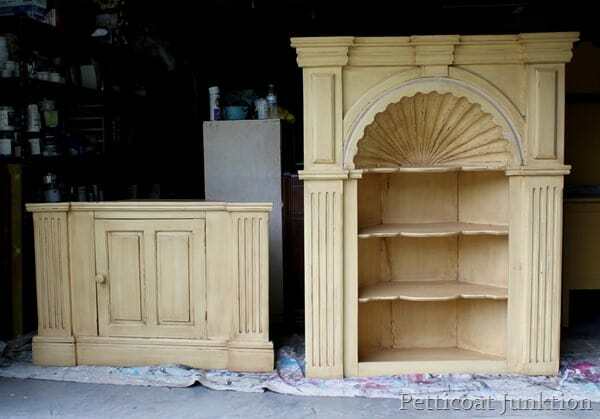 I absolutely LOVE the cabinet!!! !And yes, I also LOVE Say Yes to the Dress. Just celebrated the wedding of my son in June and still wishing the day lasted longer. It was a beautiful, wonderful day! I love this piece you did such a great job on this. Is the toner by Caromal Colours? I like using this—-just enough to age a bit. yes it is Caromal Colours. It works great doesn’t it. I plan to do a post on the process soon. You are familiar with the product but I get lots of questions about the toner from people who have never tried it. Love it!!! 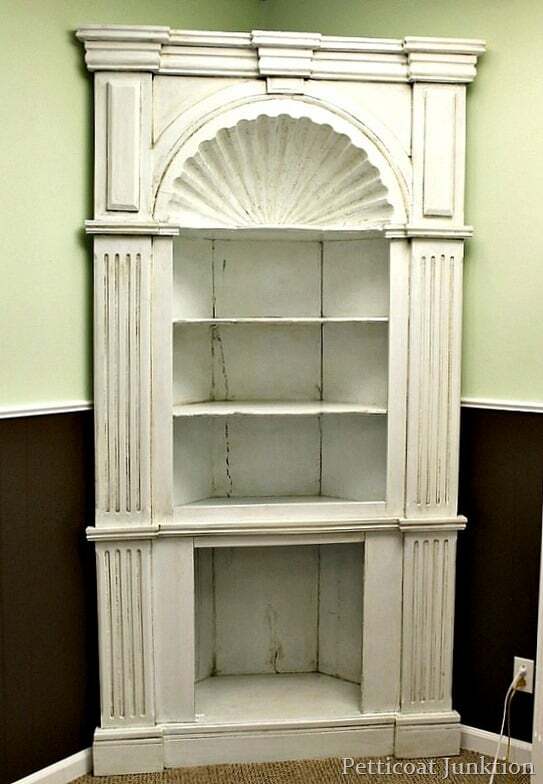 Antique white is my favorite! Good work! wow, what a fabulous cabinet! you did a great job, and that new shop sounds wonderful! Looks beautiful Kathy! Great job! Ditto, info on the toner please! BTW I love love love your blog! I love the toner effect. What is toner? Beautiful finish, Kathy. Would love to learn more about the toner. Thanks Kim, I get lots of questions about this. Guess I need to do a really detailed post! Oh my goodness! That piece is perfect for a wedding dress store!